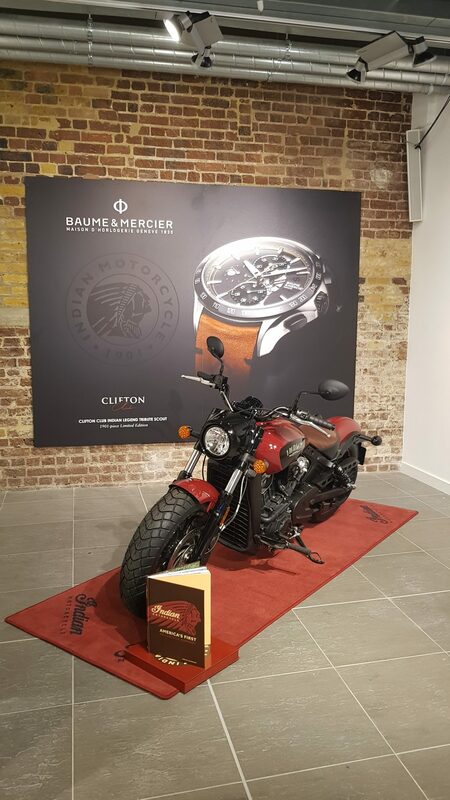 Baume & Mercier presented its 2018 Clifton Club special editions to press and retail partners in London today; the first significant event of its kind in the UK for two years and a signal of an uptick in investment by the Richemont brand this year. 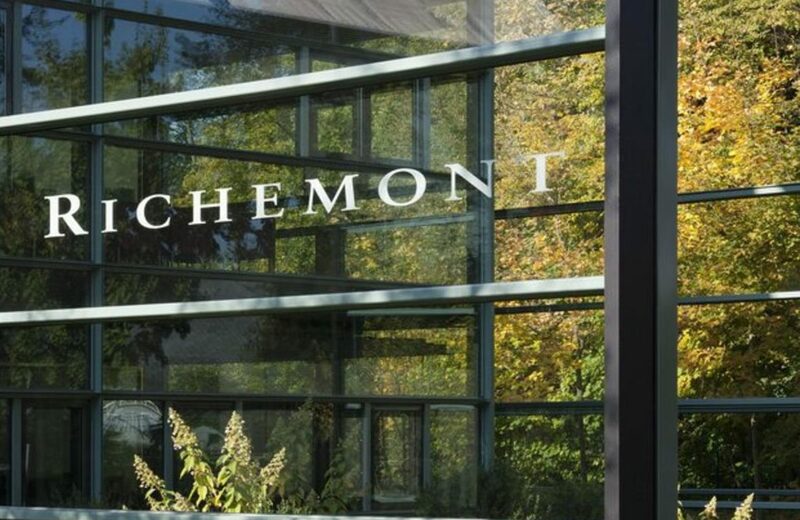 Around 20 Baume & Mercier retail partners will bring customers to the London event. Star of the show was an exact replica of an Indian Motorcycle Company racer that New Zealander Burt Monroe rode to beat the world land speed record in 1967. The record was for motorbikes with engines smaller than 1000cc and Mr Monroe took his machine, which he had spent years modifying, up to 184mph. 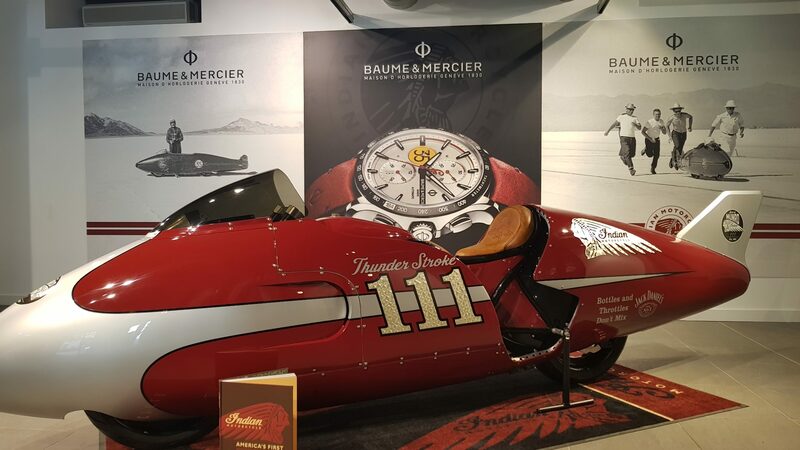 A limited edition Clifton Club Tribute watch has been created to celebrate the historic achievement as part of Baume & Mercier’s wider partnership with Indian Motorcycle Company. 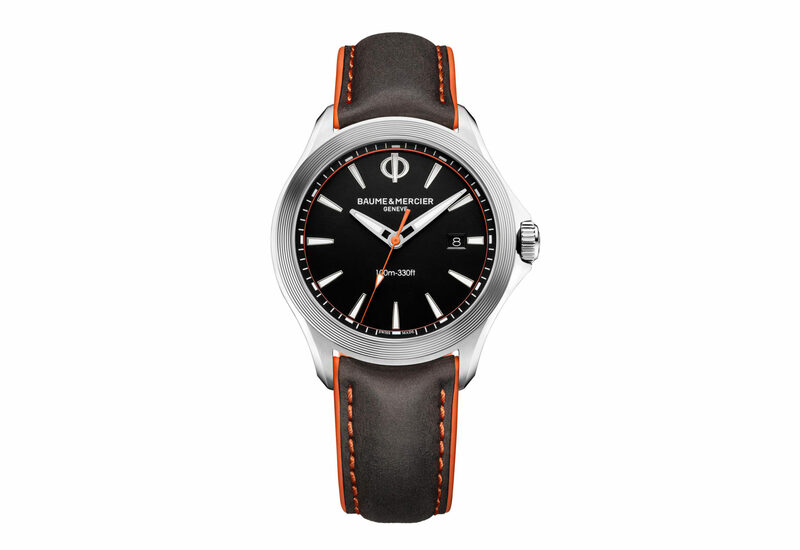 The watch is a 44mm stainless steel model housing the automatic Valijoux 7750 movement. It uses the same an “Indian red” as Munro’s vehicle the Munro Special, for its hands and leather strap. 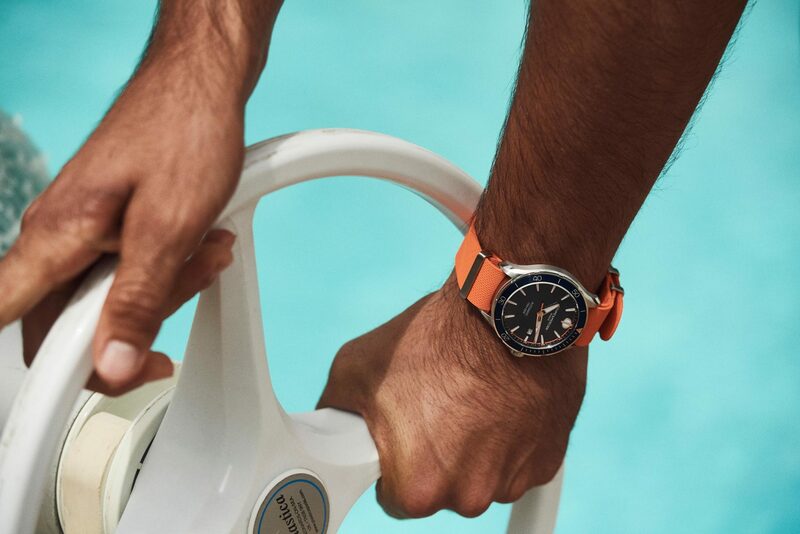 These red dials are contrasted against a sandblasted silver dial face with a yellow second hand that sports the number 35 on it, a nod to Munro’s lucky number. 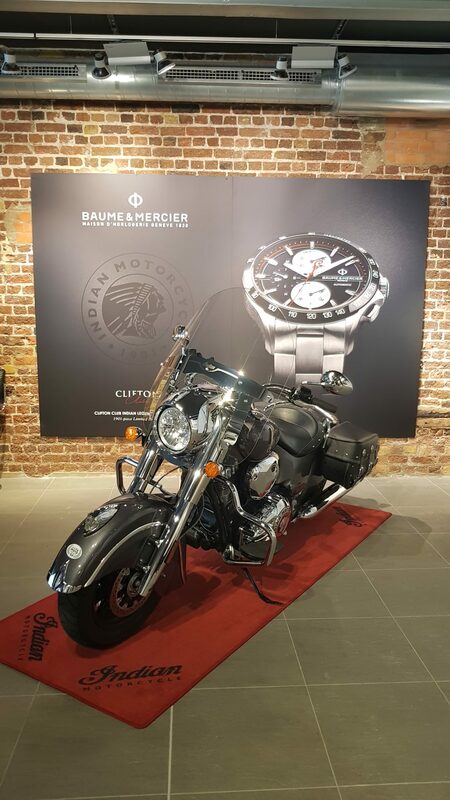 Two more Baume & Mercier Clifton Club special editions were also shown in the UK for the first time, both alongside the Indian Motorcycle Company bikes that inspire their design. 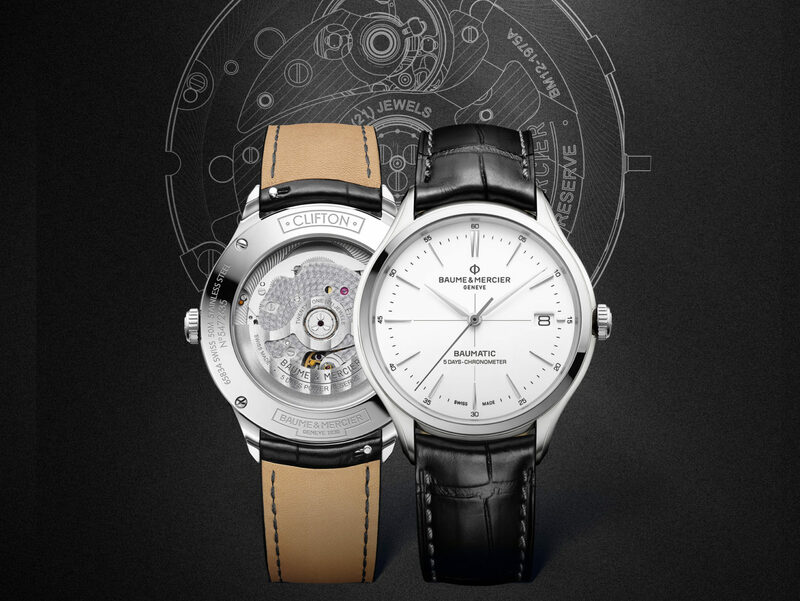 Absent from today’s event were Baume & Mercier Baumatic watches, which house the brand’s first in house movement. 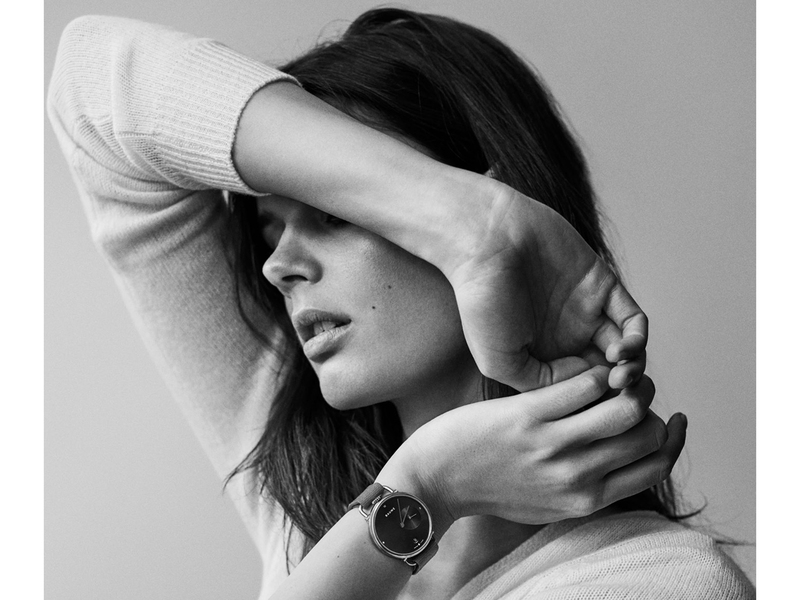 The watches and movement were the key announcement at SIHH earlier this year and are only being sold by Watches of Switzerland on an exclusive basis until September. Back in the 70 in the watch industry the biggest problem was too many movement manufacturers!!! That’s why the industry almost died , Hayek had the brilliant idea to have eta making movement for every brand. Then he got greedy….. today brands are coming up with new in house movement and we have record low young people interested in wrist watches!!! Is that money well spent??? ?